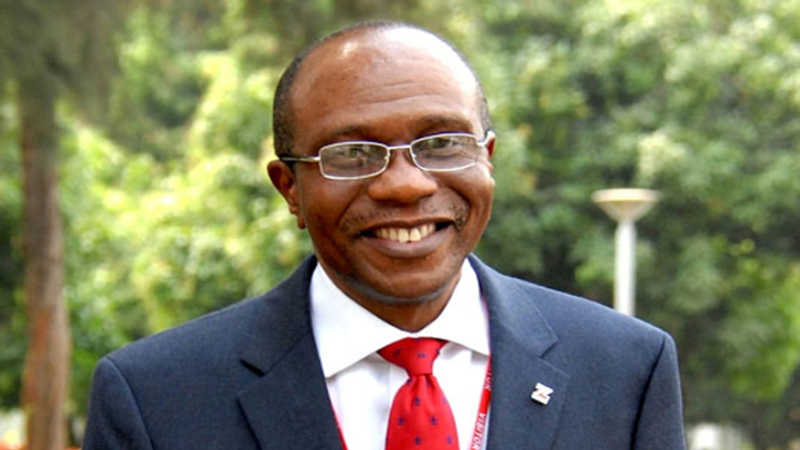 The Governor of the Central Bank of Nigeria (CBN), Godwin Emefiele, has vowed to sustain development interventions, which ensures cheap financing to boost local production of priority goods in critical sectors of the economy, to reduce reliance on importations. The Governor, who made the disclosure in Lagos, at the BusinessDay Post-Election Economic Agenda Conference, noted that the series of interventions have benefitted the economy and citizens. According to him, the drop in crude oil prices between 2015 -2017 marked a turning point for the economy and necessitated the need to develop policies and programmes that will drive productivity across key sectors of the economy. He said that the development interventions would be sustained because it ensures cheap financing to boost local production of priority goods in critical sectors of the economy, which reduce reliance on importations. Also listing the gains of the efforts made by the CBN in the past five years in monetary policy and development finance, he said the apex bank took some measures like strict monitoring of financial position and performance, assessment of risk profile and governance management practices of banks, to guarantee financial stability. “In our foray into development banking, as at March 15, 2019, the CBN has committed a total of N171.35 billion in the Anchor Borrowers Programme, with active participations across 36 states of Federation and Federal Capital Territory. “A total of 920,788 farmers have benefitted in the programme, cultivating about 960, 643 hectares of land across 16 different commodities. Given the success achieved under this programme, CBN would continue to support it until the full potential is reached,” he said. On tomatoes, he said CBN’s intervention in its production currently stands at a little above N10 billion in eight projects, with one of them being Dangote’s greenhouse manufacturing project that has the capacity to produce 10 million seedlings in a month. “This would be sold to about 5,000 out-growers that would grow and supply the tomato factory which commenced operations a few weeks ago with tomato fruits. “The project has the capacity of generating one million jobs from supporting small holder farmers in tomato cultivation to paste, as well as save the economy over $250 million yearly. “Still, the bank established the Investors and Exporters’ Window; conserved foreign exchange through the restriction of access to foreign exchange on 43 items; and increased lending to the agricultural and manufacturing sectors, to ensure financial system stability and the promotion of sustainable economic development,” he said. However, the call for a reduction in interest rate from the current 14 per cent will not be answered, at least, in the next few months, as the post-election agenda of the apex bank has projected a rebound in inflation to 12 per cent, before moderating. Warning that the issues that led to the economic crisis between 2015 and 2017 remained visible, the bank stressed the need to remain alert to domestic and global developments, significantly increase the country’s policy buffers, including fiscal measures and external reserve profile. He assured that the bank would only adjust the policy rate in line with unfolding conditions and outlooks, in line with the goal of ensuring that the policy on interest rate is set to balance the objectives of price stability with output stabilisation. While basing the inflationary projection on productivity gains in the agricultural and manufacturing sectors, he said the Gross Domestic Product (GDP) would be expected to pick up in the first half of this year, owing largely to the continued efforts at driving indigenous production in high-impact real sector activities. He expressed optimism that the nation’s economy post-election will witness positive growth that will reduce the current level of unemployment in the country, based on the policy measures already instituted by the monetary and fiscal authorities. According to him, the current measures would enable broad-based participation of farmers, textile workers and companies towards supporting the productive growth of the Nigerian economy.